Meet face-to-face without having to spend time and money travelling to your next meeting. A web conference is an online meeting between two or more participants in different locations using online conferencing technology. This enables them to share screens, work on documents together in real time and even see each other with the use of webcams. Initial web conferencing software was created in the '90s and has come a long way since then. Now, web conferencing is used in offices around the world for teams to meet and work together no matter where they are. Web conferencing has evolved a lot since it first started. From its beginnings with file and screen sharing, it has become a comprehensive communication tool for business communication as well as a fantastic marketing tool. Web conferencing is being used more and more every year by businesses of all sizes. What are the benefits of web conferencing? Save time and money by eliminating the need to travel to and from meetings. No need to teach your guests anything, all they need to do is follow a link. Meet and connect with any one, at any time, from anywhere in the world. 'Webinar' is short for 'web-based seminar'. Running a webinar allows you to give, receive and discuss information in real time. Interaction is possible via messaging features. Polls and surveys can be used to gather real-time feedback. 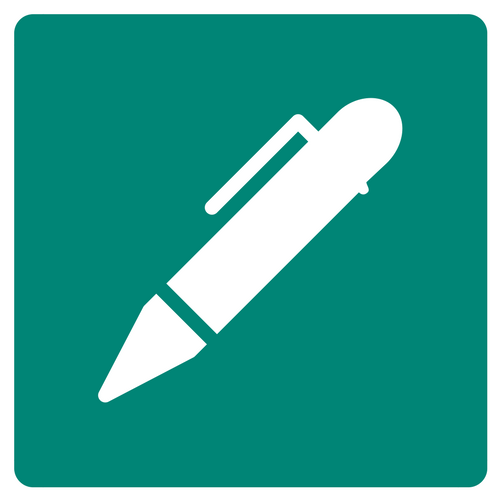 Presenters can share audio, documents and presentations with their webinar attendees. This is useful when the presenter is conducting a lecture or information session. Here are just a few of the ways you can use webinars to your advantage. Marketers can use webinars to generate leads by providing content that demonstrates their thought leadership in their respective industries. Simply organise your webinar, promote it to your target market and gather the lead information as they register. Need to announce important business information to your employees, stakeholders or clients? You can do this easily by holding a webinar and inviting your guests to log in. Record your webinar and send it to those who cannot attend. This is useful when you don't require contributions from your guests. Use webinars to hold training sessions with employees scattered across the country. The most up-to-date training and OH&S information can be distributed to all employees at the same time ensuring that everyone gets the same information. Your employees simply need to log in at the time of the webinar. Recordings can be distributed to unavailable team members. Share your screen and work interactively with web conferencing. Fully interactive meetings allow you to do anything from sharing your screens, sending documents, drawing on a whiteboard to seeing your meeting guests face to face! Geographically-dispersed teams can work together on any project at any time with screen sharing and interactive web conferencing. Collaboration is made easier as you can interact visually with your team. Share your screen to present design mock-ups to clients to receive feedback and suggested changes on your work, which you can implement in real time. Hold presentations to deliver reports via your chosen program. Use your webcam and computer speakers to hold video conferences right at your desk. Substitute some of your in-person meetings for web conferences with webcams to save you and your attendees time travelling to and from meetings. Present your product to investors or buyers through web conferencing. Demonstrate how it works and how to use it to as many people as you want at once. Sometimes OH&S updates or training can't be done in person. Using webcams with face-to-face web conferencing will mean you can present your safety demonstrations to everyone at once, without having to travel to meet in-person. Access another computer so that you can control it and offer support. Use your web conferencing platform to remotely control other computers. Support colleagues or customers remotely by accessing their computers to troubleshoot problems. What are the features of web conferencing? There so many terms that relate to web conferencing. It can be hard to know what it is that you are looking for. 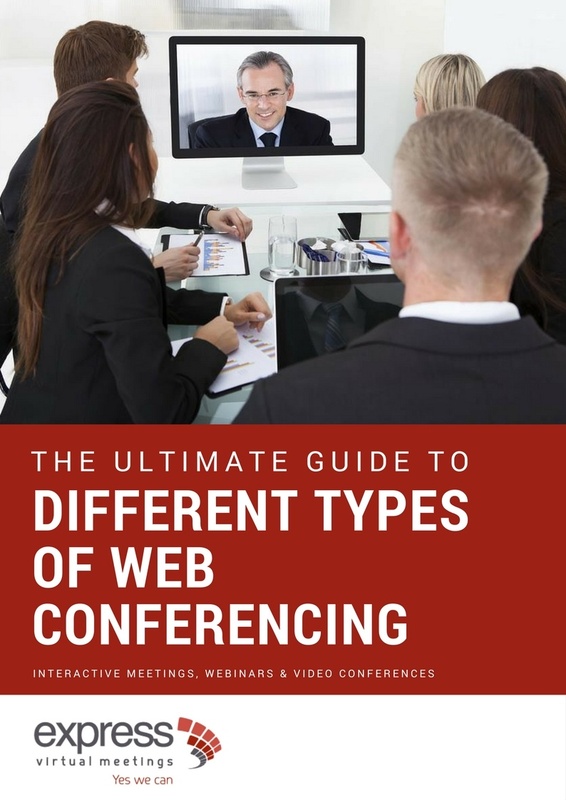 Here are the top examples of the types of web conferencing in plain and simple English. Webinars are short for 'web-based seminar'. Webinars allow you to give, receive and discuss information in real time via whiteboard and live chat features. Polls and surveys can be used to gather real-time feedback, and Q&A sessions can be conducted at any point. Webinar presenters can share audio, documents and applications with their webinar attendees. This is useful when the presenter is conducting a lecture or information session. Webinars are perfect for holding online presentations, workshops, training and tutorials. A webcast is a presentation, broadcast over the internet to a large audience. A webcast may either be distributed live or on demand. The transmission is one-way and does not allow interaction between the presenter and the audience. A webcast might be just a simple audio stream or it might include visual aids such as PowerPoint slides, recorded video clips or live software demonstrations. Webcasts can be planned and recorded in advance and do not have to be live. Video conferencing allows two or more participants to communicate face-to-face without being in the same room. However, video conferencing is facilitated by the use of specialised hardware including a TV, camera and telephone. This needs to be set up in a dedicated room such as a boardroom or office. A type of web conferencing where you can share screens, see face-to-face and speak with voice or chat with the messaging feature as well as communicate using many other features. With this type of web conferencing you can get the most out of your team meeting. No matter what type of web conference you want to have, there are only 4 easy steps to get started. Download the web conferencing program. Get started by logging in with your details. You can schedule your meeting for the future or instantly start sharing and collaborating. Invite your guests by email via the web conferencing program. Guests just follow the link to join. Your conference can now begin! Share your screen or turn on your webcams to start collaborating. Looking to use web conferencing in your business? Choose a reliable conference provider. Choose Express. Discover the power of web conferencing and how it can transform your business.